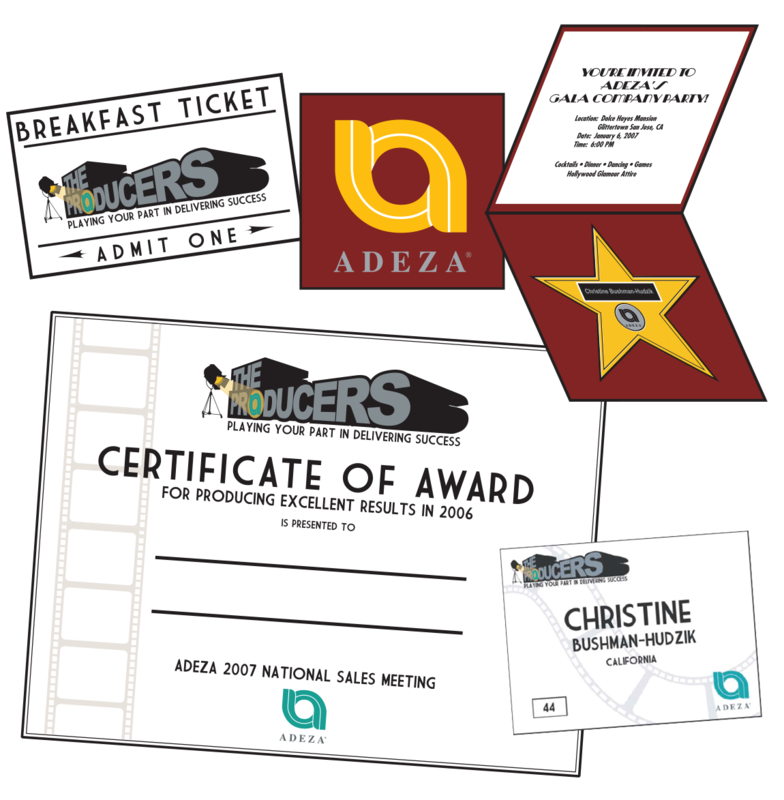 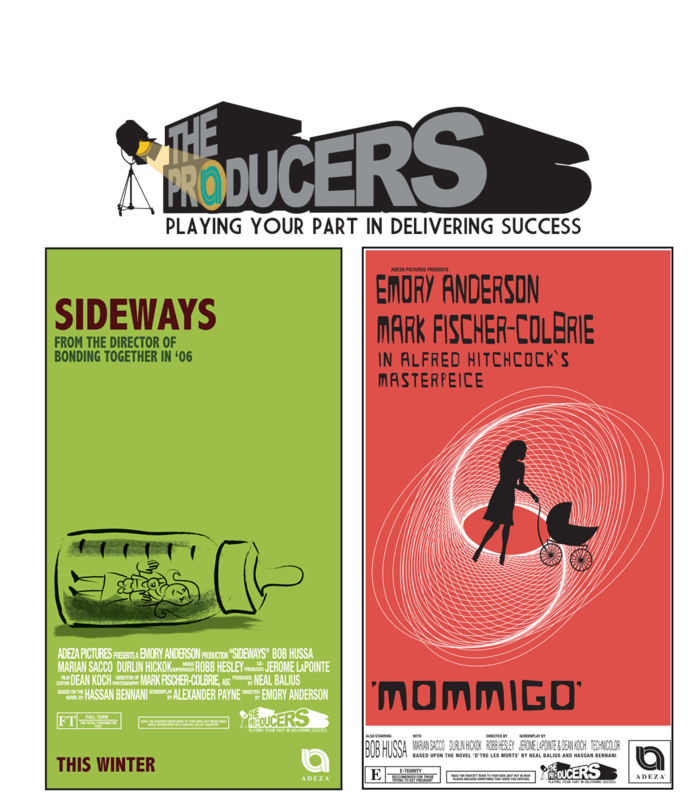 Working with promotional products company IDzyne, I designed and illustrated a suite of collateral items for Adeza's annual sales conference, which had a Hollywood theme – "The Producers". 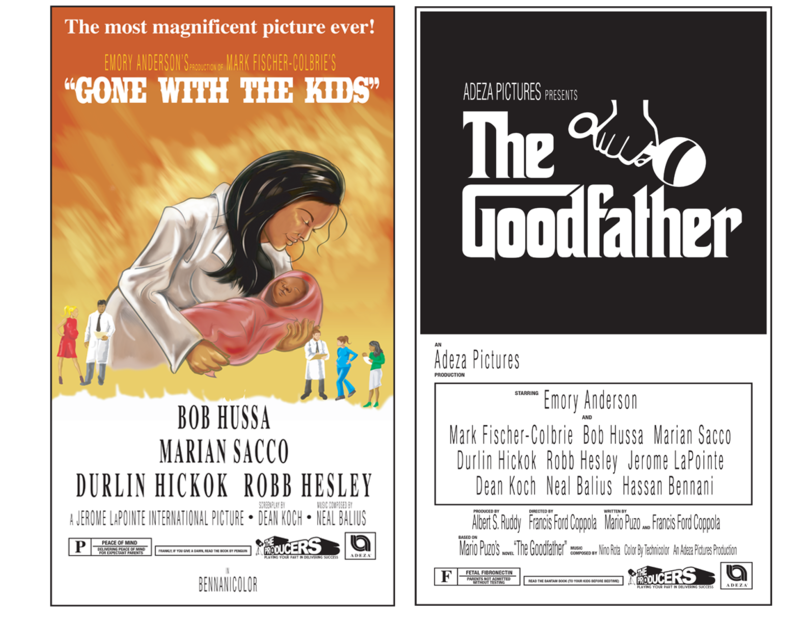 Starting first with the logo design, then moving on to other items, I created invitations, menus, programs, and more unique items like a series of maternity-themed posters riffing on well-known movies. 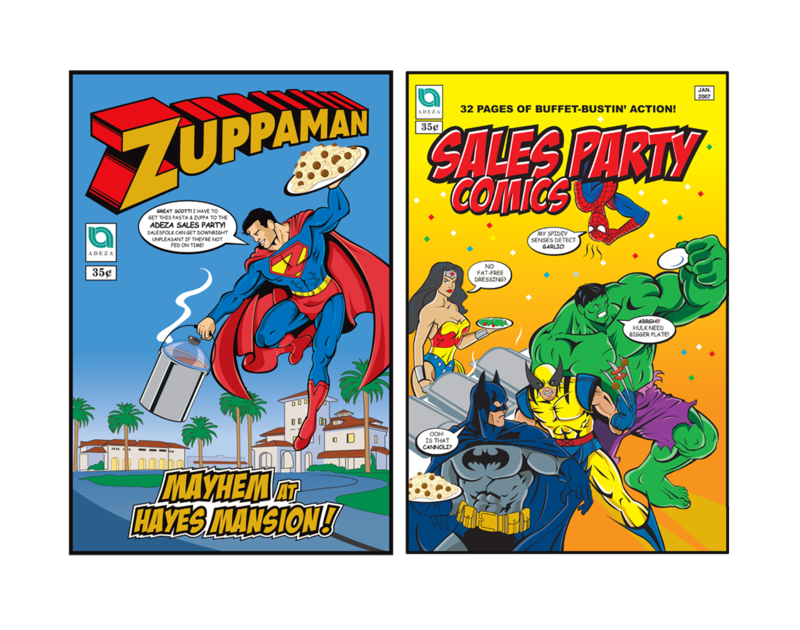 An additional set of comic book-themed posters were also done for the conference's sales staff dinner.